Welcome Back Centers provide orientation, counseling, and support to foreign-trained health workers. They assist participants in developing a career pathway plan that builds on their education, experience, and skills. In addition to receiving support in obtaining appropriate professional credentials and licenses for their profession, participants are also assisted in exploring relevant educational programs, job and volunteer opportunities, and alternative career options. Although each center follows the model of service shown above, individual centers may offer additional services. Check with your local center to learn more. Confidentiality: Welcome Back takes responsibility for securing the safety and confidentiality of all participant information. Under no circumstances are participants’ records taken out of the office or is information about a participant released without his or her prior written consent. This is the first contact with a potential participant, as well as the screening component of the program. 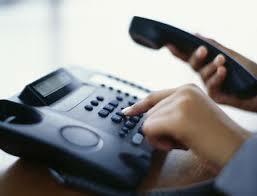 The initial contact may be on the phone or face-to-face with front desk staff or an educational case manager. Information collected is entered into the database if the participant is eligible for the program. At this phase, the center collects basic personal information about the participant, as well as his or her educational and professional history. In addition, an appointment is made for an assessment meeting. Educational case managers meet individually with participants to assess their educational and professional experience in their countries of origin, and compare this with the standards for their health professions in the U.S. In addition, an assessment of participants’ professional goals, the steps they have taken to accomplish these goals, and the barriers they have encountered is also carried out at this phase. In the assessment process, the educational case manager gathers information about a participant in the following areas: post-high-school education, professional experience in the country of origin, certificates or degrees obtained in the U.S., work history in the U.S., English language proficiency level, psychosocial factors, reason for immigration, and motivation level. This initial assessment normally lasts approximately 1 ½ to 2 hours. Educational case managers assist participants as they pursue their goals in becoming licensed in their health profession, search for meaningful employment in the health sector, and possibly, explore an alternative career. In the process, educational case managers refer participants to appropriate educational and professional resources, as needed. Based on the results of the initial assessment, the educational case manager develops a career pathway plan with the participant that builds on his or her education, skills, and experience. The educational case manager also provides the participant with an orientation to relevant licensing procedures and support for obtaining appropriate professional credentials and licenses. Taking into account the participant’s educational background and work experience both outside and within the U.S., the educational case manager provides counseling about potential job opportunities and alternative careers in the health sector. The educational case manager and participant will determine how often to meet (weekly, monthly, or quarterly). At a minimum, they meet every six months until participants exit the program. Educational case managers help link participants with appropriate community college and university programs for different health careers, including the respective counseling and financial aid offices. Welcome Back plans various group activities to further expose participants to educational and career opportunities, as well as to bring immigrant health professionals with similar backgrounds together. Such activities may include Health Career Job Fairs to familiarize participants with health career programs at local community colleges and universities, Careers in Research sessions to expose participants to the work of local research centers and information on how their skills can be an asset to such centers, and group events by profession to review licensing processes, explore job opportunities available in the social service and health sector without a license requirement, and prepare for licensing exams. These group activities also provide participants with valuable opportunities for peer networking with other foreign-trained health professionals from different countries and, whenever feasible, peer mentoring. The centers also provide participants access to useful resources in U.S. health care through their lending libraries. For example, participants are able to borrow NCLEX exam preparation materials or job search books for the fastest growing health professions in the U.S.
​Discharge is defined as the point when a participant accomplishes the goals established in his or her career pathway plan or when a participant no longer needs the services provided by Welcome Back.